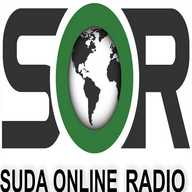 SUDA ONLINE RADIO (SOR) IS AN INTERNET RADIO PLATFORM CREATED BY AFRICANS FOR THE AFRICANS AND WORLDWIDE FRIENDS. SUDA ONLINE RADIO STATION EXISTS TO REACH OUR NATION AND THE WORLD THROUGH PROVIDING THE BEST SERVICES AND VARIETY OF MUSIC GENRE, NEWS AND ENTERTAINMENT. OUR DEDICATED AND EXPERIENCED SUDA ONLINE RADIO TEAM, WEB DEVELOPER, RESEARCH AND MARKETING TEAM WILL ASSURE THAT YOU WILL FIND A LOT OF DIVERSITY IN MUSIC, LOCAL & INTERNATIONAL TALENTS, AND THE CONTINUOUS EFFORT TO UPDATE YOU ABOUT SUDA ONLINE RADIO MUSIC, ENTERTAINMENT & NEWS. IN ADDITION WE VALUE OUR SUDA ONLINE RADIO LOCAL AND WORLD ARTIST BY HELPING THEM PROMOTE THEIR ALBUMS, COVER AND ORIGINAL SONGS ON AIR! FROM TIME TO TIME WE WILL HAVE THEM ON BOARD FOR INTERVIEWS, MEET AND GREET LIVE ON AIR!!  IT IS ALSO OUR MISSION TO CREATE A GREATER MULTIPLICITY BY CONNECTING SUDA ONLINE RADIO FAMILIES AND PEOPLE WORLDWIDE THROUGH OUR MUSIC AND SOCIAL INTERACTIVE PLATFORM. SUDA ONLINE RADIO TEAM WILL WORK ENDLESSLY TOGETHER, TO MAKE SURE THAT OUR ONE MISSION IS GRANTED AND THAT OUR MOTIVATIONAL EFFORT IS TO KEEP WORKING FOR YOU!